Victor Cardoso charts the rise, fall and subsequent mini-revival of UK developer Rare. A studio that has had its fair share of triumphs and false dawns in the past. In their heyday, Rare was one of the best developers around. The minds behind Donkey Kong Country, Goldeneye and (a personal favourite) Perfect Dark could do no wrong, and for a time, almost every one of their releases was an instant hit. Their Partnership with Nintendo took the company to new heights and it seemed like this newfound friendship would continue for years. However, with increasing development costs and Nintendo’s reluctance to continue to fund Rare’s creative efforts, They soon found themselves seeking potential buyers. Microsoft purchased the developer for $375 million dollars, thus the company became a first party studio and for the first time in their history, they no longer had the creative freedom once allowed by Nintendo. What made the developer special is that – in the video games industry – it is not often that a company jumps genres so gleefully, it’s in fact very Rare. Instead of sticking to a comfort zone, Rare drifted from shooters to platformers, to racers, to sports, and much more, often at times jumping from PC to console and even the handheld market didn’t scare them. This mentality and ideology was deeply rooted in the company’s founding brothers, driven by their passion and love for videogames. They were a cut above anyone else during their heyday and were industry innovators, all while producing some of the best experiences in the medium. The UK based developer really made a name for itself during the 90s by doing something unprecedented, something that no western developer had attempted. They took a few software samples to Kyoto, Japan in a sales pitch seeking their endorsement. Nintendo responded by giving them an unlimited budget, and a creative freedom that no other third-party company had at the time. Rare had taken an incredible risk. By producing games for a company that wasn’t well known domestically they essentially lost a lot of their market share in the UK, however, by mass producing games for Nintendo, Rare received an incredible amount of exposure worldwide, bringing them to the centre stage of video game development. Furthermore, by 1991, Nintendo (despite all naysayers) had made it big and became a household name, the easy to develop games Rare had spent years labouring over, translated to easy money, and quite a bit of it. Rare invested a significant amount of their profits into Silicon graphic workstations, essentially, Rare became one of the most technologically advanced developers worldwide. Their next step was to figure out a way to create games as full CGI renderings and removing bitmapping out of the process, they started out slow using a simple boxing game to get them accustomed to the new technology. 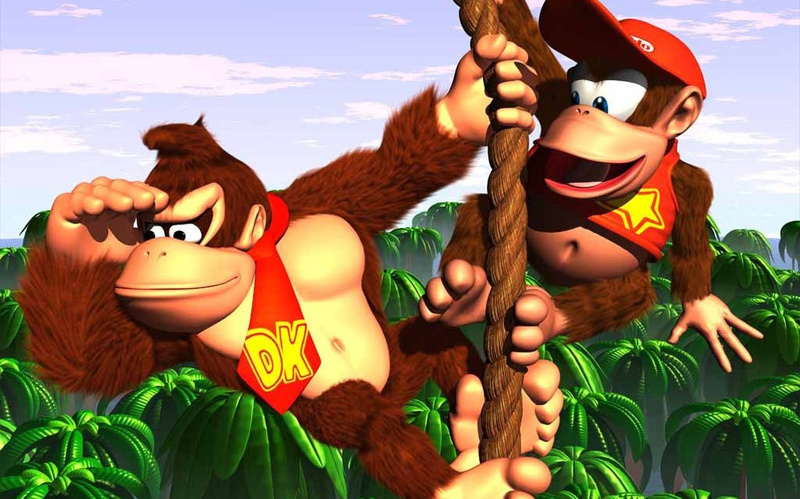 Nintendo was quick to notice this and purchased 25% of the developer (a number that would eventually grow to 49%) and offered their mascots to Rare, who eventually picked out Donkey Kong as the next focus for their new game. With the company now renamed as Rareware, Donkey Kong Country was released in 1994, and perhaps as a ‘screw you’ to all the critics ten years prior, Rareware released their game a day earlier to the UK market, becoming an instant success worldwide. The incredible success and influence of Donkey Kong Country cannot be understated. It was the first game with the character that was not developed in Japan, it also lacked any input from Shigeru Miyamoto, the first to use pre-rendered 3D graphics on a console, and most importantly – at 9 million units sold – it was the second best selling game of the SNES, losing only to Super Mario World. The Italian plumber was no longer the solitary king of the Nintendo mascot jungle. Banjo-Kazooie was released in 1999 and was nominated for various game of the year awards, Rare had another new franchise and a new mascot. Not much later, Rare released their GoldenEye successor; a new IP know by the name of Perfect Dark. A critical success, but nothing like the heights they had seen before. Publicly Rare was doing fantastic things, internally, however, Rare was a ticking time bomb, seconds away from disaster. The straw that broke the camel’s back was their release of Conker’s Bad Fur Day. The game itself was a middle finger to traditional games, an incredibly self-aware piece of work that blew away the critics, not surprisingly though, Nintendo practically disowned the game, steering clear away from anything to do with Rare’s latest IP. As early as 2000, Microsoft had begun making overtures to have Rare develop some games for their unannounced console. In 2002, the same month Rare released Star Fox Adventures, it was made official that Rare would become a first party developer for Microsoft. When 2005 rolled around, Microsoft put Rare at the front of their new console launch lineup. 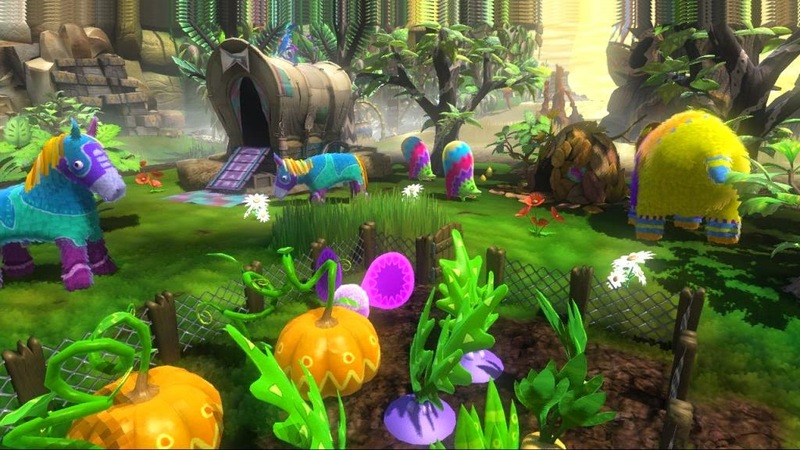 Their first two games were considered amongst the best of the lineup, however, Viva Piñata wasn’t showed the same amount of love – by Microsoft- and in return, the game failed to sell. Microsoft had spent a majority of its marketing budget on Gears of War and left Rare’s latest game-high and dry during the holiday season. To make matters worse, Rare’s spokesman had announced that, internally, Rare was incredibly unhappy with the treatment they had received from Microsoft for the release of Viva Piñata. Whether it was due to this unhappiness or not, the two founding brothers announced – a couple of months later – that they were leaving the company. Rare became tied to Viva Piñata, developing three games for the franchise in the span of two years, aside from working on that, Microsoft has kept rare on a leash of sorts, having them develop nothing but Kinect games from 2010-2014. Sea of Thieves was an opportunity for the Rare of old to make a statement of intent with their latest IP. Rare was known for its intricate stories, with fantastical characters, their industry changing game design. Sea of Thieves, fell short of expectations for all of these things, and while the game is incredibly polished, with a beautiful art style, and perhaps the most beautiful water in a videogame ever, the game lacks depth – pun intended- it was a repetitive cycle of three missions that hardly change as you level up, they may get longer – and more tedious – but they never feel like fun. Underneath all the terrible, monotonous gameplay, there is a foundation for what could be an excellent game. The legacy of Rare may seem like a mixed one, but their importance to the gaming industry cannot be understated. It is unrealistic to expect that all of their games to achieve greatness, but it is impressive that so many of them actually did. Sea of thieves was a learning opportunity for Rare, an incredibly important stepping stone if they want to get back to the heights that they once achieved. Microsoft allowed Rare some creative freedom, hopefully, they continue to do so as Rare is a company with an unusual approach, and it is always fun seeing what they come up with.